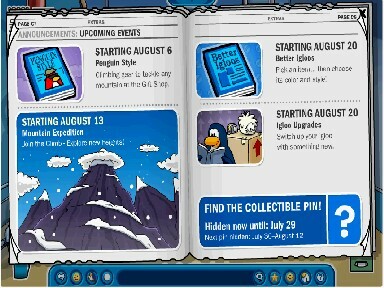 Hello penguins!Sinse July is coming to an end a new sneak peek appeared at the blog about August!And I think that is gonna be very exiting in Ausust,too!So here are the planed things for August! 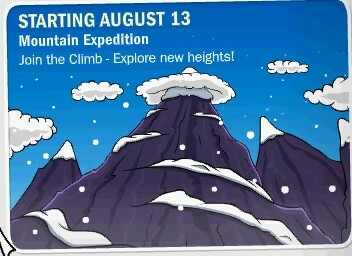 A brand new event called the Mountain Expedition is coming soon. And it’ll have LOTS of surprises for members. 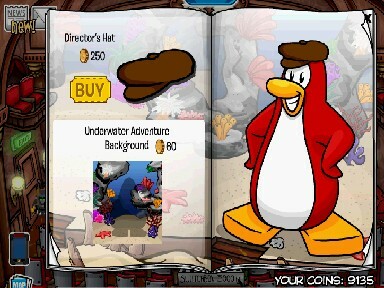 Check out the items at the Gift Shop soon for gear! 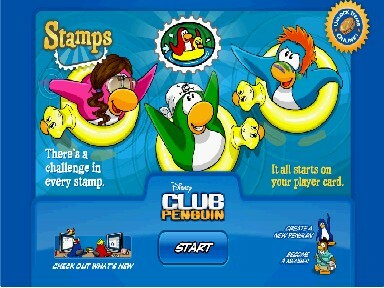 And finally, something that everyone can look forward to… More stamps! There are lots of surprises set for next month – so let us know what you think they may be! And that’s from the blog!So let me know what you think about it!Bye! Then go to the beacon. And now finaly stand on the place with the big bulb. 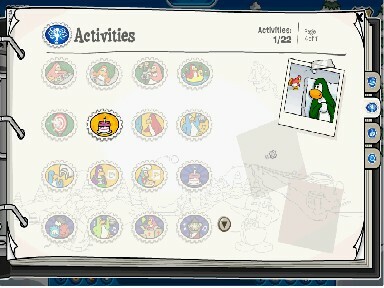 Play the game and earn the medal! 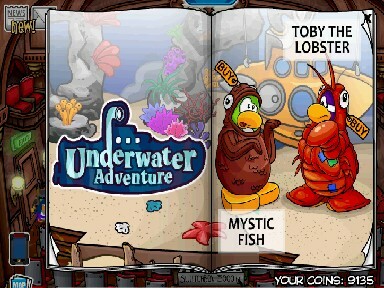 Well that was for the field opp!Now the last thing…the new stage!Underwater Adventure is here again! 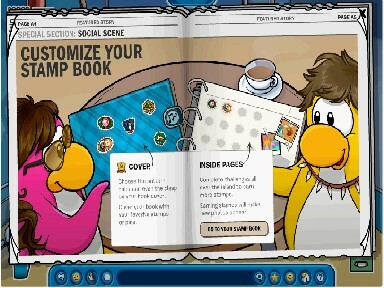 And the stage catalog!But I want to tell you that there are no cheats in the catalog! 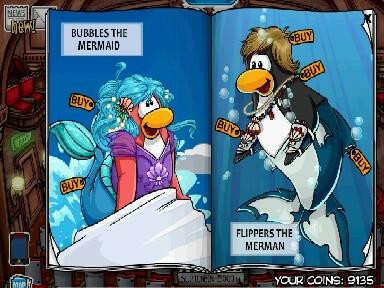 And also there is a new background! 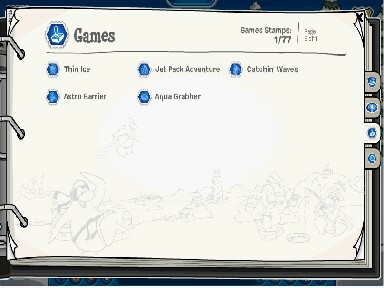 Well these are all the cheats and events for now!But I am sure there will be much more in August so stay toon!By the way,comment!Bye! 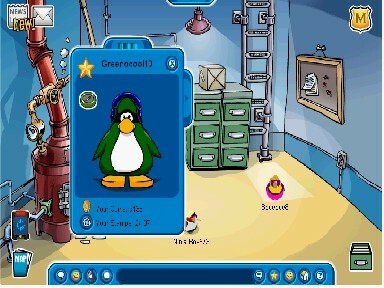 Greenocool10 is back and lots happening in Club Penguin! 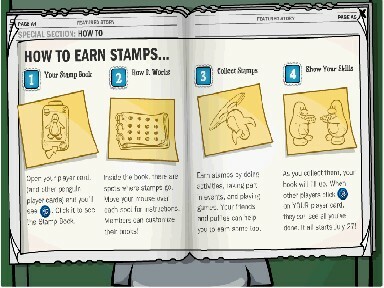 First let’s start with one of the most newest things-the stampes! Do you like them?Which one is your favourite?Please comment! 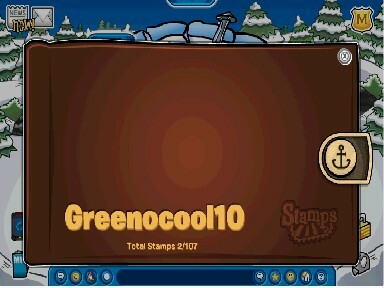 There are lots of stampes and other things to collect!The stamps are 107 in total!And speaking of pins I will show you the new one! Ok first go to the town. Then to the night club. 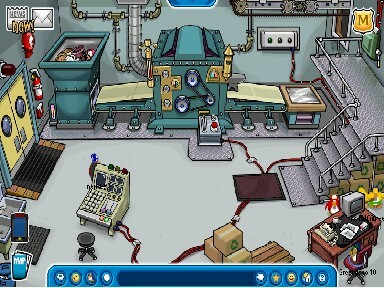 And then go to the boiler room. Check near the boiler to see the pin(it is a compas pin). And there you got it!Congratulations! 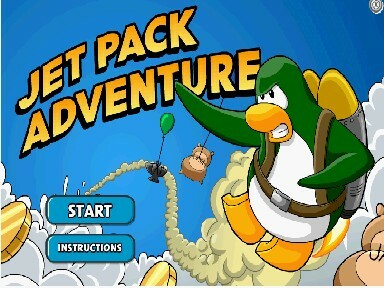 What do you think the climing will be?Please comment!And I will continue with the events in a secod part…Bye! A lot of new things coming! 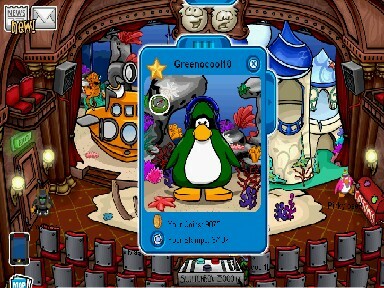 Hi penguins!Today i am ganna show you what’s new today and what’s coming up!Ok let’s start with today! 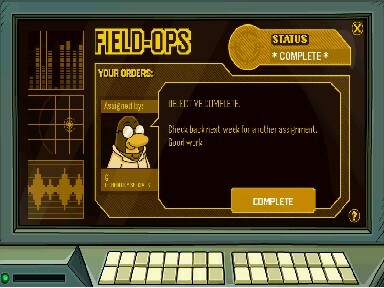 The new field ops are here and there is a new type of game to earn the medal! 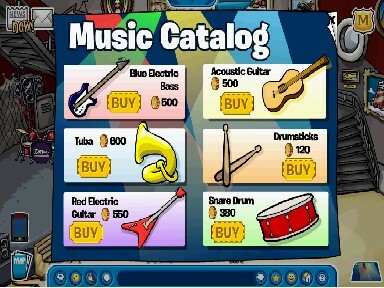 The new instruments actualy came testarday but I didn”t told you…So go n the loghhous,grab an instrument and rock! Who is your favourite instrument of them?Mine is the tuba.But what are yours?Please tell us in the comments! 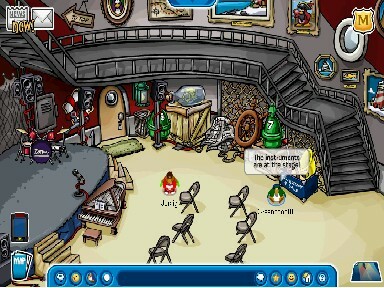 Make music at the Lighthouse: Starting today musical instruments will be available in the Lighthouse all the time, because we love to see you guys jam! 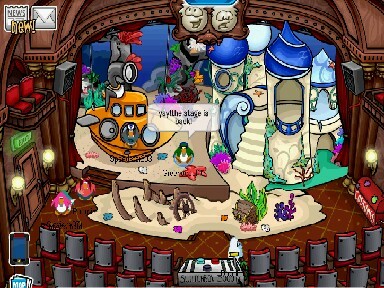 Design your igloo: We know how creative you are with your igloos and we wanted to give you more. 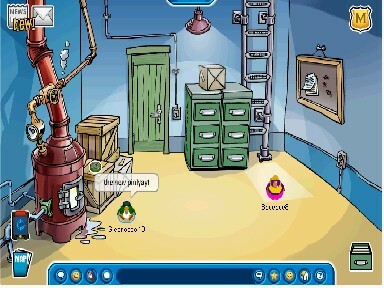 If you liked the T-shirt builder in Penguin Style, you’re going to love the new Better Igloos catalog. 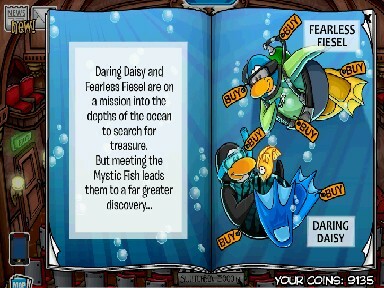 Spy Phone Updates: EPF Agents will face greater challenges to keep the island safe in August. You’ll receive new Field-Op orders with more Spy Phone games to test your skills. 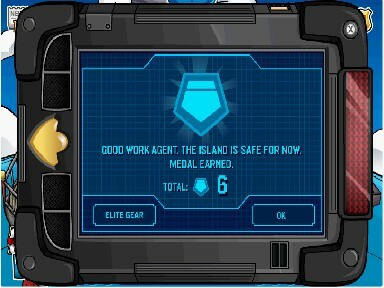 Plus you’ll be able to obtain brand new elite gear with your medals! 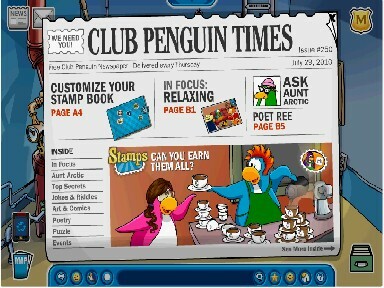 Earn Stamps: Stamps will be available for everyone, and we wanted to give members access to exclusive stamps and features. 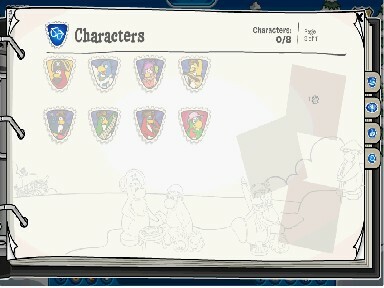 As a result, some of the harder levels in games will be made member only. 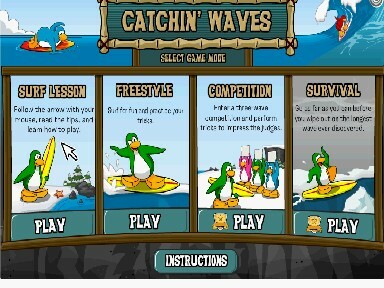 The games that will be changing are Jet Pack Adventure, Catchin’ Waves, Thin Ice, Astro Barrier and Aqua Grabber. Don’t worry, everyone will still be able to play the first few levels. 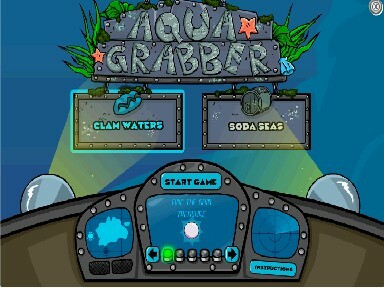 The games Jet Pack Adventure, Catchin’ Waves, Thin Ice, Astro Barrier and Aqua Grabber are ganna change a little! 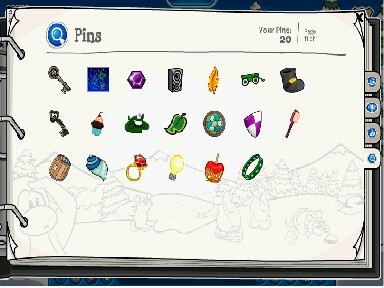 And finaly did you notice that there is a new way of getting the medal in this field opp!I will show you in another post!Bye! 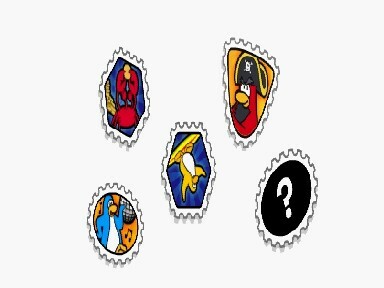 The new stamps are coming om the 16th of July! The new stage is coming on the 13rd of July! Some new cool things are coming up next month! 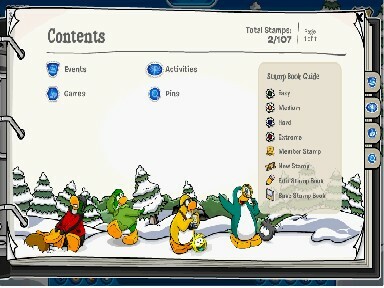 Club Penguin-all stamps are added! We are ganna work together to get them! 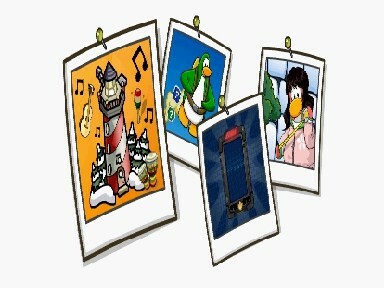 We are ganna have our own album to collect them and show them off! They are ganna be available for anyone(member and non member)and he has to work together sometimes to get them! 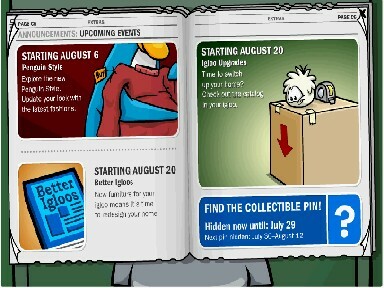 Wow!Every day in Club Penguin is just gettting better and better!And don’t forget that the lighhouse catalog is coming tomorow and the igloo catalog on the 22nd of July!Do you think the igloo with 2 floors will be available for buyinh already?I will update everything!Bye! 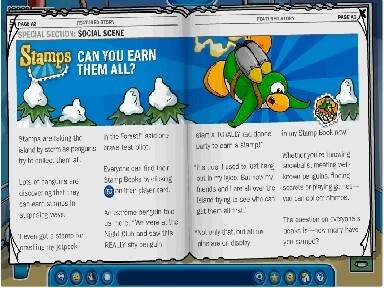 Hey penguins!This is not a club penguin news…but have ou noticed that thre is one new thing in my blog from yesterday(the 15th of July)!I finaly have a hit/view counter! Then sign up for a hit counter by clicking on option number 1. 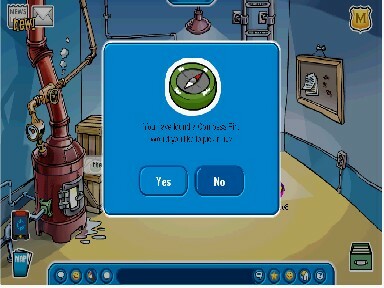 Click configure and install code! 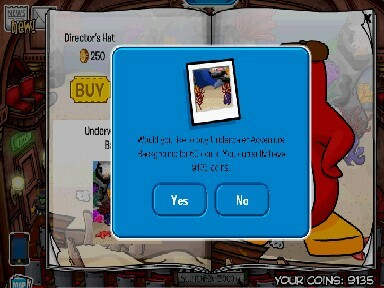 Then choose the text fomating. 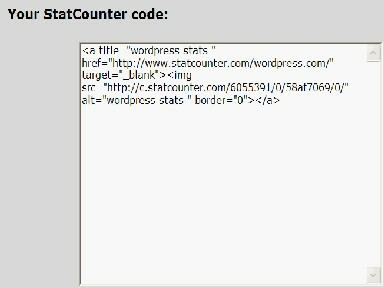 12.After you copy it you go to wordpress.com,then my dashboard,appearance,widgets and then gran a text widget to the sidebar. Thanks for reading my tutorial on how to put hit counter to your sidebar!Thanks for reading!Bye and remember to view and subscribe for more tutorials! 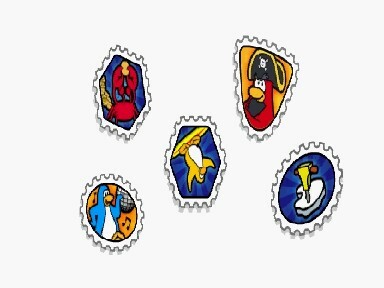 Two new stamps/stickers added in the blog! 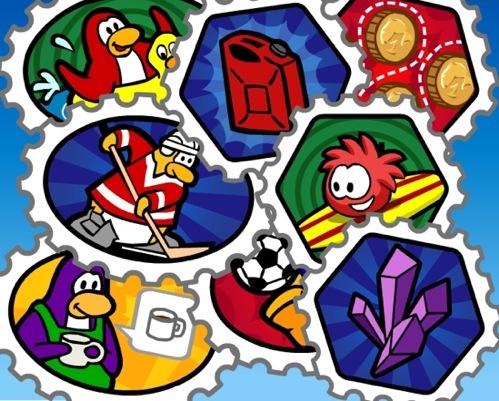 Hi penguins!Did you notice that 2 new stickers appear in the blog last night! 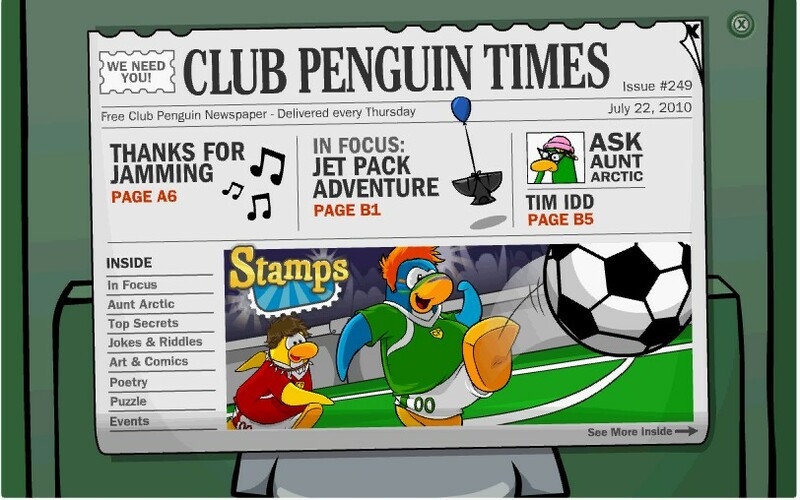 What do you think still about them?I still think you hav to do something to get them and use them for something!And did you remember that they said something about the surfer penguin-coming july 26!Maybe the new stamps or stickers will be released then!Well we can only guess for now…but on the 26th of july the secret will be reveald!I am expecting commments for what do you still think ’till they are relesed!So please comment!Bye!